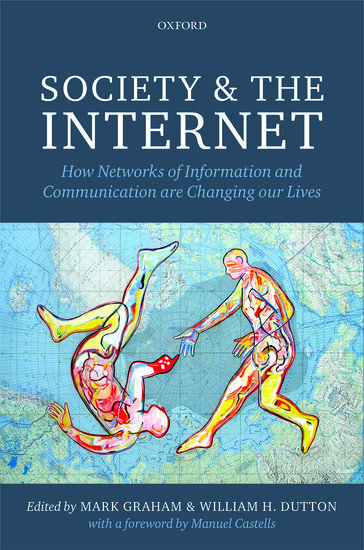 The introduction to our new book: ’Society & the Internet’ is now freely available online. You can download it at this link. The introduction provides a survey of some of the most pressing issues in Internet Studies and outlines how the book tackles them. As a reminder for anyone interested in purchasing the book, you can use the codes at the bottom of this post to get 30% off the list price. You can also request a free inspection copy of the book if you are planning on adopting it as a teaching tool. The book that Bill Dutton and I have been working on for a few years is now approaching publication and has a space on the Oxford University Press website. The paperback, hardback, and ebook copies should be out in May, and I’ll post more information about the book, and why we brought it together, closer to the release date.